Guest agrees to abide by the condominium associate (included in the Vacation Rental Agreement) at all times while at the property. Rates are quoted on a per night, per week or per month basis as noted. Unless otherwise noted, rates do NOT include cleaning service, gratuities, car rental, food, liquor, laundry, tours, transportation, personal items, or excessive cleaning upon departure (e.g. upholstery or rug shampooing, etc.). 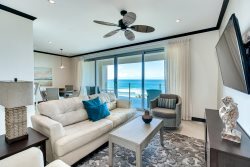 Unless otherwise specified, rates are quoted for two people per condominium bedroom (i.e., 4 people for a 2-bedroom condominium, 6 people for a 3-bedroom condominium), additional guests require written preapproval from Lost Beach Vacations (LBV) and are subject to a per person, per day fee. The lease begins at 3:00PM on the check-in date and ends at 11:00AM on the check-out date. A completed and signed Vacation Rental Agreement and rental deposit equal to at least 50% of the total reservation amount must be received and accepted by LBV before LBV will confirm the reservation. Final payment of the remaining balance due must be received by LBV at least 30 days prior to the Check-in Date (or immediately if booked less than 30 days in advance of the Check-in Date). Failure to pay the remaining balance due on a timely basis in accordance with the previous sentence will make such reservation subject to automatic cancellation with no refund of any funds already received by LBV. LBV will charge the credit card on file on the 30th day before the Check-in Date unless other arrangements are made and agreed to in writing by LBV. The condominium shall be in substantially same condition upon departure as at check-in, normal wear and tear excepted. Guest will maintain the property and all furnishings in good order, and only use the appliances for their intended uses (including only cooking in areas specifically designated for cooking). Guest must immediately notify LBV of damage to the property, including, but not limited to, the condominium and common areas. Guest may not sublet or assign its reservation or this Agreement without the prior written consent of LBV. Your reservation with LBV includes a required protection plan (“Plan”) that covers unintentional damages to the interior of the condominium subject to the terms and conditions listed below. Cost The cost of the Plan is $59. This amount is charged to every reservation booked through lostbeachvacations.com. Deductible and Coverage Limits The Plan has a deductible amount of $250 and a maximum protection limit of $1,000. The Guest is responsible for the first $250 of unintentional damages to the interior of the condominium, the Plan pays the next $1,000, and the Guest is responsible for all unintentional damages to the interior of the condominium thereafter. Example 1 - $150 of unintentional damage to the interior of the condominium. The $150 is subject to the $250 deductible. Therefore, the Guest must pay the entire $150. Example 2 - $600 of unintentional damage to the interior of the condominium. The Guest must pay the first $250 (deductible amount) and the Plan will cover the remaining $350. Example 3 - $1,300 of unintentional damage to the interior of the condominium. The Guest must pay the first $250 (deductible amount), the Plan will cover the next $1,000, and the Guest must pay the remaining $50 (in total, the Guest must pay $300 and the protection plan covers $1,000). Credit Card Hold and Payment At the time of check-in, LBV will place a hold on the Guest’s credit card in the amount of $1,500. If there are unintentional damages to the interior of the condominium that are not covered under the Plan, LBV will charge the credit card for these charges and Guest agrees to not attempt a chargeback. If Guest does not have a credit card on file, or if there is no credit card hold, Guest agrees to promptly pay his/her portion of the unintentional damages to the interior of the condominium. Documentation If LBV finds any unintentional damage to the interior of the condominium, LBV must provide Guest with a written statement within 14 calendar days after the check-out date. Cancellation more than 30 days prior to Check-in Date. Guest may cancel the reservation related to this Agreement any time prior to 30 calendar days before the Check-in Date for a cancellation fee equal to the greater of $150 or ten percent (10%) of the total reservation amount. Cancellation less than 30 days prior to Check-in Date. In the event that Guest cancels the reservation related to this Agreement less than 30 calendar days before the Check-in Date, all funds received by LBV from Guest will be forfeited, but Guest will not be charged for the remaining balance of the reservation amount. No shows: In the event that Guest does not show up to the property on the Check-in Date, Guest will receive no refund and will be charged for the entire remaining balance of the reservation amount. Should the condominium become untenable or unavailable due to unforeseen events, acts of God, or the sale of the condominium, LBV reserves the right to substitute comparable accommodations without liability. Upon notification of the change, Guest will be given the opportunity to cancel the reservation related to this Agreement with no penalty should the revised condominium not be acceptable.